Don’t forget this coming weekend, June 26-28th is our 50’s weekend. Bring a classic, antique, muscle car or hot rod to show off in our car show on Saturday & get 25% off your camping site for the weekend! Saturday night we hop back into the 50’s with some great music. Dress up in your favorite 50’s attire & win a prize. 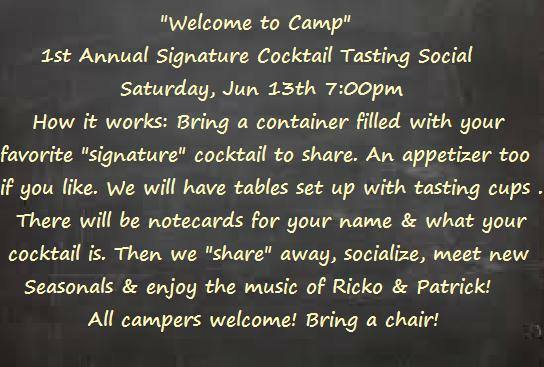 Call 207-693-6881 for reservations. Looks like Saturday is going to be a perfect weather day!! Friday 8 pm – Join us for our “50”s” Music & Dance. Dress in your favorite 1950’s outfit & maybe w in a prize. 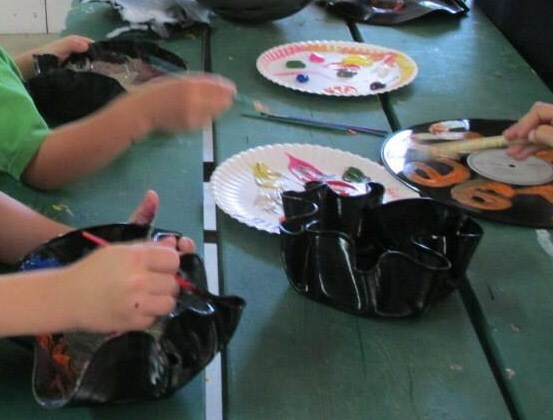 Saturday 10 am – Kid’s Crafts in the Rec Hall. Our last years “50’s” weekend craft project was such a huge hit that it will be repeated this year! Come on down to the Rec Hall Saturday morning at 10:00 am & check it out. 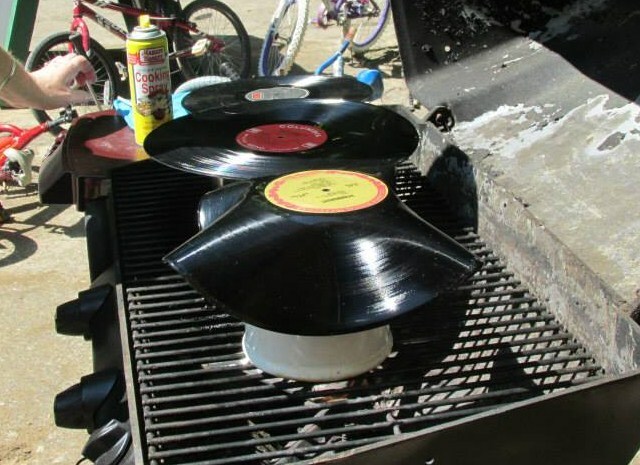 Melting old record albums into bowls & different shapes, then decorating. So cool & a lot of fun!! Saturday morning Car Show. Bring out your Antique, Classic, Muscle car, Hot Rod or Truck to show off. As many know Father’s Day weekend in Naples, Maine is also the “Maine Blues Festival”. www.mainebluesfestival.com we have tickets available here in the Store & there is also a scheduled FREE Shuttle that brings you to & from the Naples Causeway. This year, we are lucky enough to have our own venue Friday evening. 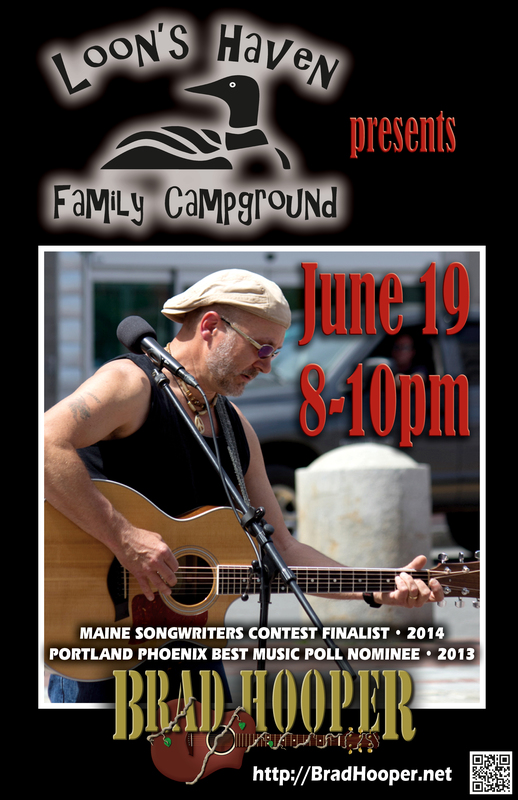 Brad Hooper will be playing here at the campground from 8-10pm. Our other Father’s Day activities include: Children’s Crafts on Saturday morning & a Children’s Movie Saturday evening. We are working on an adult activity for Saturday evening, nothing confirmed yet! Sunday morning all the Father’s get a free breakfast sandwich & coffee from our Looney Yum, Yum Wagon!! A great opportunity for some rest & relaxation. to take advantage of our special rate. Hope to see you! !